Do I have to extend the borrowing period? The borrowing period is automatically extended by one day, as long as another student has not ordered the book. In that case, the student will receive a text message with a reminder to return the book. Students are responsible for keeping track of their reading card, in order to make sure that all books are borrowed properly. What do I do if there are no copies of the book I need on the shelf? Students must order all books. As soon as the copy is returned to the library, it can be borrowed. I have lost a book that I borrowed from the library. What should I do? Why must I pay a fine for a lost book? I see that the book I want to borrow is featured in the catalog. How do I locate it? The library's book collection is organized according to the cataloging system that is used worldwide – LC. A student that is not familiar with this system may approach the library desk for assistance. Why aren't there enough copies of the books in a course bibliography? The library is currently in the process of transferring hard copies to digital format. In the future, all books will be available to all students, always. The book I need is located at the other campus. Can I borrow it? Yes. Please contact the library desk to place your order. Why doesn't the item I am looking for appear in the database? The digital database includes hundreds of thousands of electronic books and articles dealing with the various engineering fields. Not every item exists in the digital format. In this case, please contact the library staff to check other information locating options. Is it possible to search for and obtain a digital copy from a computer outside the college? Yes, by using a valid user name and password. Are all the materials in the library database accessible free of charge? I am not a student at the college. Can I use the library services? The library offers its services only to students and faculty members of the college. The book exists in the digital database, but I need a hard copy. What can I do? Parts of a book, or the entire book, can be printed as necessary. The library is noisy. Is there a quiet area where I can work in silence? 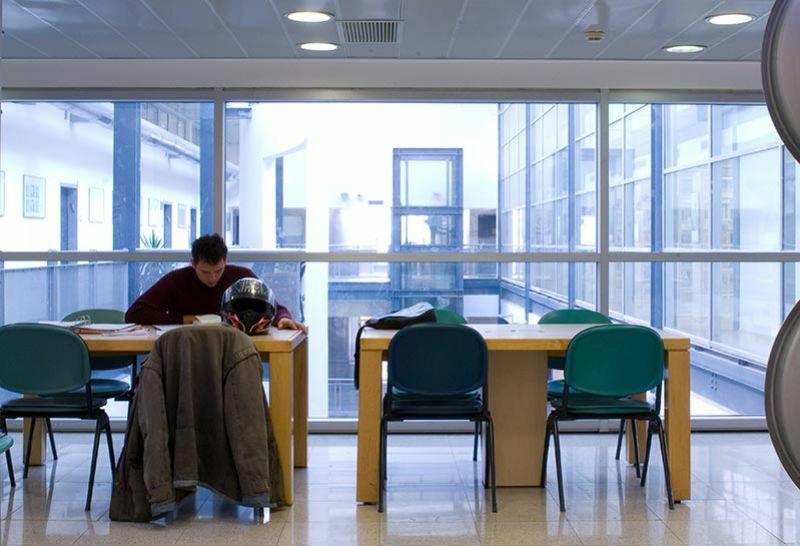 The silent study area is located in the gallery of the Shavit Library at the Be'er Sheva campus. There are several individual study cubicles at the Bnei Brit Library. Where do I start searching for materials? It's best to start at the library catalog's search engine. I need help searing for materials for a course I am taking and/or a project. Who can help me? You are welcome to contact the library desk at any time. For complex or in-depth issues, please contact the library manager. How can I know for sure that I am using materials of the appropriate academic level? When searching the library's catalog, only present results categorized as: Peer-reviewed Journals. How can I access an item that does not exist in the library or its databases? Such items can be obtained through inter-library borrowing, and presenting a signed approval from a lecturer/project mentor.